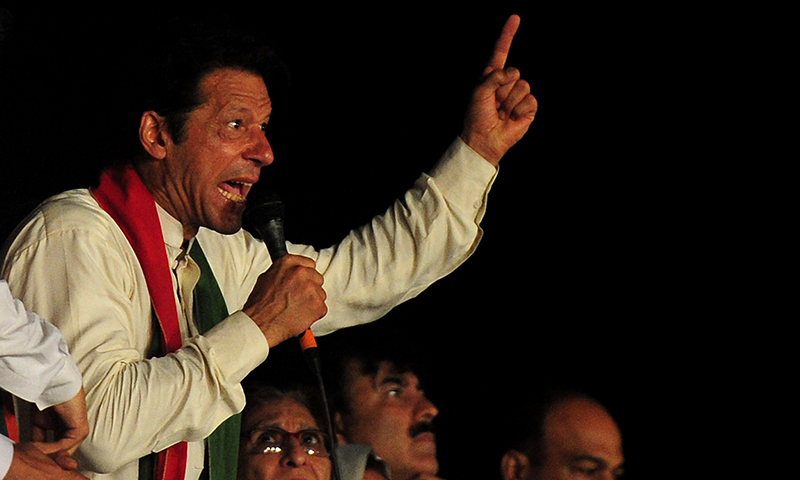 Tehreek-e-Insaf Chairman Imran Khan on Saturday shoved past a party candidate during a rally in Karak. In the video shared on Geo News, Imran can be seen climbing the stairs of the stage when he pushed aside Shahid Ahmed Khattak, a PTI candidate for NA-34 Karak in the upcoming polls. This is not the first time that PTI chief was pushy, as in a video making rounds in social media a while ago, he could be seen elbowing a party member. And due to the crowd, Khan was making his way towards stage. Exploiting it towards one’s selfish ends in the form of blatant lie and fake propaganda against us is unacceptable and deplorable.